Qiang Zhu, graduated from Universität Erlangen- Nürnberg majoring in material science and obtained a Dr.-Ing. Degree in 1994. He works as member of academic committee of General Research Institute for Nonferrous Metals, editor of Rare Metals, executive committee of International Semi-Solid Processing Technology Committee, expert of High Quality Special Steel and High Temperature Alloy of ministry of science and technology, expert of Beijing Science and Technology Award and Evaluation, expert of Nonferrous Metal Association. Dr. Zhu has carried out research projects of China-France cooperation project, National Natural Science Foundation of Germany, National Natural Science Foundation key project of UK and the life improvement project of the impeller and turbine for the key components of Cummins global turbocharger. 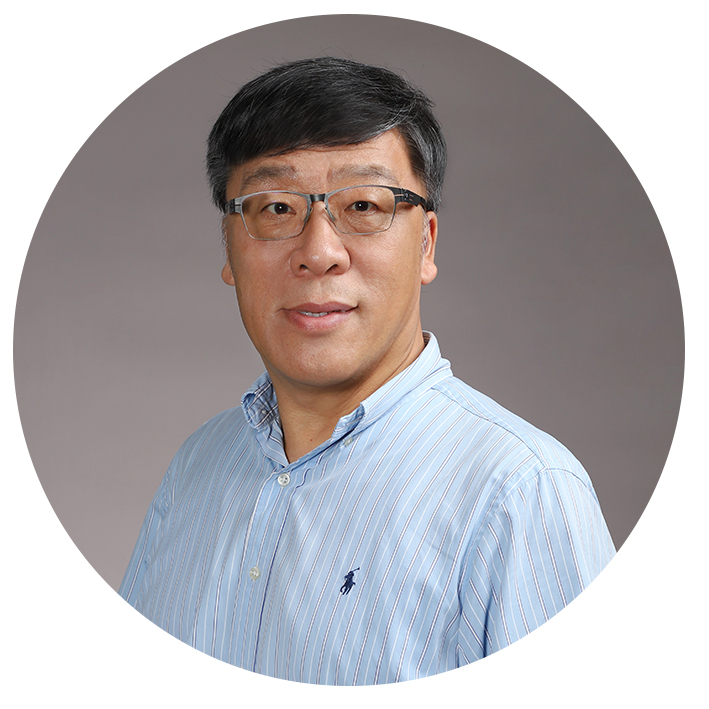 Dr. Zhu gave a number of invited speeches to internationally well-known academic conferences as well as universities and enterprises, published more than 160 articles in international journals and academic conferences, edited and published an academic book as well as 1 International invention patent and 34 Chinese invention patents. ◆ 1990-1994 University of Erlangen-Nurnberg, Germany, Dr.-Ing. in Mat Sci.& Engn. ◆ 1982-1986 University of Science and Technology Beijing, Master in Mat Sci.& Engn. ◆ 1978-1982 University of Science and Technology Beijing, Bachelor in Mat Sci.& Engn. ◆ "Pilot Talents" of Nanshan district, Shenzhen, 2017. X. Hu, Q. Zhu, X. Lu, F. Zhang, D. Li, S.P. Midson. Microstructural evolution and thixoformability of semi-solid aluminum 319s alloy during re-melting. Journal of Alloys and Compounds, 2015:649, p204-210. 杨福宝, 李丹, 章林, 景艳红, 李大全, 朱强. 热等静压及后续热处理对高温合金MIM418涡轮合金组织与性能的影响. 材料热处理学报. 36（2015），p129-135. K. Du, Q. Zhu, D. Li, F. Zhang. Study of formation mechanism of incipient melting in thixo-cast Al–Si–Cu–Mg alloys. Materials Characterization, 2015:106, p134-140. Q. Zhu, S. P. Midson, C. Ming, Helen V. Atkinson. Casting and Heat Treatment of Turbocharger Impellers Thixocast from Alloy 201. Solid State Phenomena. 2013: 192-193, p556-561. Q. Zhu and S. P. Midson. Semi-solid moulding: a competition to cast and machine from forging in making automotive complex components. Transaction of Nonferrous Metals, 2010:20, p1042-1047. Q. Zhu. Semi-Solid Moulding: A New Way of Making Impellers. HTI: The Latest Turbotecharger News, 2008:9, p7-8. Q. Zhu, C. M. Sellars, H. K. D. H. Bhadeshia. Quantitative metallography of deformed grains. Materials Science and Technology, 2007:23, p757-766. Q. Zhu, M. F. Abbod, J. Talamantes-Silva, etc. Hybrid modelling of aluminium magnesium alloys during thermomechanical processing in terms of physically-based, neuro-fuzzy and finite element models. Acta Materialia, 2003: 51(17), p5051-5062. Q. Zhu, C. M. Sellars. Evolution of Microbands in High Purity Aluminium-3% Magnesium during Hot Deformation Testing in Tension-Compression, Scripta Mat, 2001:45, p41-48. W. Blum, Q. Zhu, R. Merkel, H. J. McQueen. Dynamic restoration mechanisms in hot torsion of Al-5Mg and Al. Zeitschrift für Metallkunde, 1996, Vol:87, p14. Q. Zhu, D. Wang, H. Ge, G. Chen. Phase interface segregation of magnesium in a nickel-base superalloy. IN 100, Acta Metallurgica Sin. (Eng. Ed. ), 1989, Vol:2A, p408.